Natural water bidet systems require no electricity and are powered by using only water pressure. These natural water systems are the most economical and evironmentally friendly Bidet available on the market today. 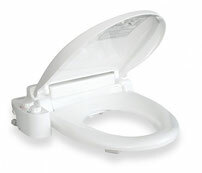 These bidet's are easlly installed onto your existing toilet seat for a effect and hygenic clean.